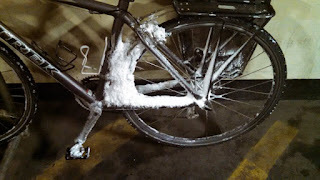 The deal I have with my wife is that I can ride in the winter if the roads are clear. When I looked out the window this morning, I saw a snow-covered lawn and a wet roadway with no snow accumulation. Yay, the roads are clear! Riding into town on Hwy 2 was pretty much like that but everything changed once I got off the highway and onto the Colton-Standard-Addison streets bike route. Since it wasn't frozen or slick and the studded tires were handling the road surface quite easily, I kept on riding instead of throwing the bike on the bus. 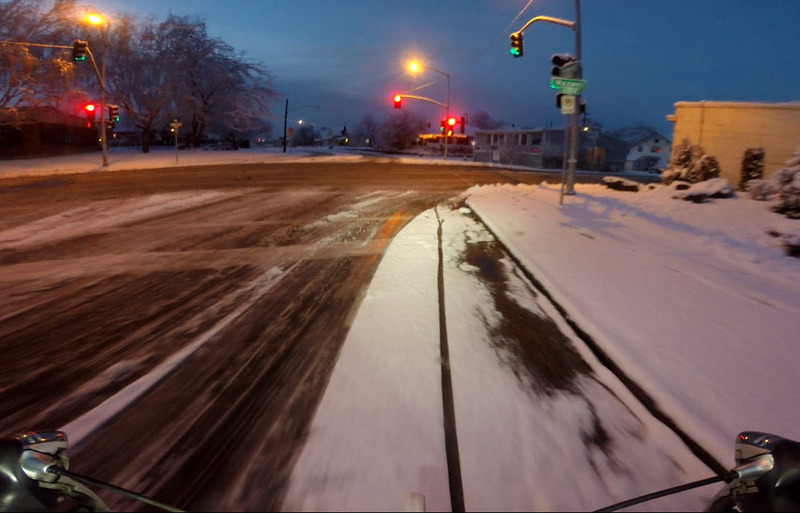 I glided through two to three inches of snow all the way to downtown and it was awesome. Someone else this way rode. I cleaned off as much as I could. 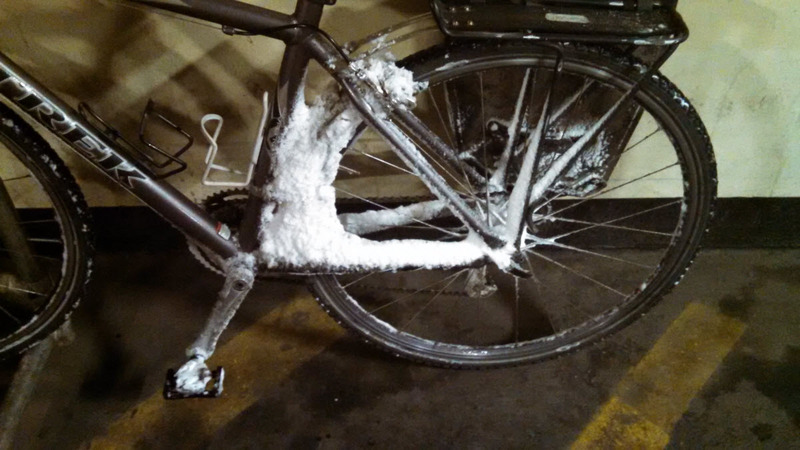 A chain cleaning will be necessary tonight.